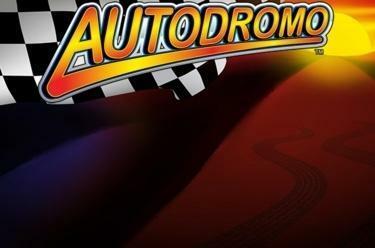 Play Autodromo™ online for free now! On the racing track in Autodromo™ 5 pay lines spanning across 3 reels are waiting for you. The highest winning symbol is the Joker symbol. 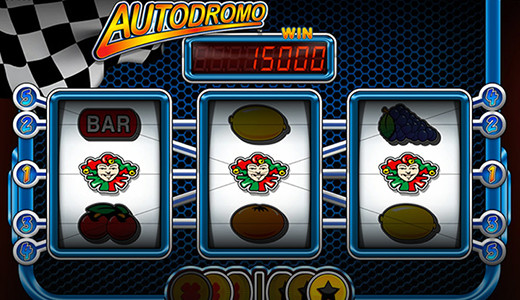 The aim with Autodromo™ is to land 3 matching symbols along one of the 5 win lines. The Joker symbol substitutes for all other symbols in this slot. Welcome to Autodromo™! You're into risk? Maybe also fast approaching winnings? Then you’re in the right place! But before you step on the gas fasten your seat belt: Because you wouldn't be the first racer who's come off the track as soon as they have spotted the most lucrative symbol ahead - the Joker. Now then - it's green light for your winnings!